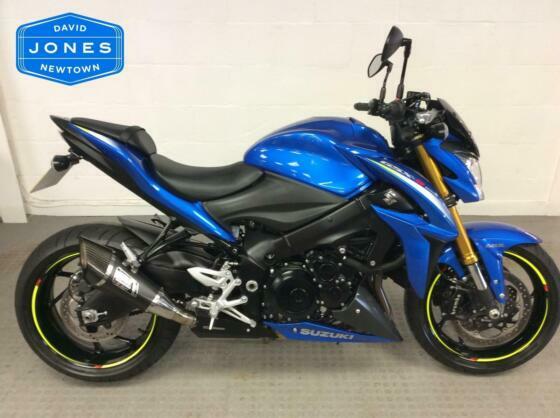 The 2015 Suzuki GSX-S1000 is a naked style bike and is powered by a 999cc inline four engine which puts out 143bhp. It's related to an older generation GSX-R1000 sports bike. It's powered by a liquid cooled four stroke 999cc inline four cylinder engine, producing 143.5bhp at 10,000rpm and maximum torque at 9,500rpm. It's actually the engine from the 2005-2008 GSX-R re-tuned for the street, rather than latest generation gixxer, because the long stroke design is better suited to low down torque. RRP is £9,100 or £9,600 with Bosch ABS (adds 2kg). The 6 spoke 17" cast Aluminium wheels take a 120/70 radial tyre at the front and 190/50 at the rear. 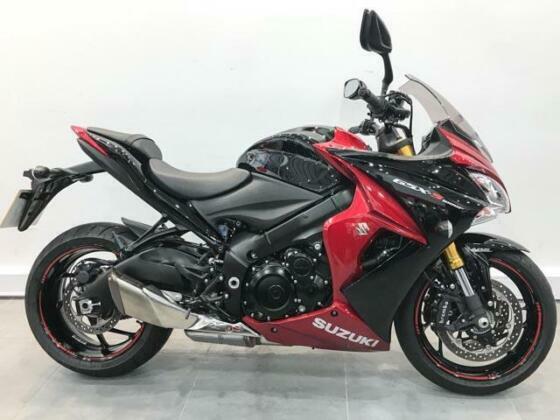 The 2016 Yoshimura Special Edition RRP is £9,800 or £10,300 with ABS and gets you a host of extras; Yoshimura R11 exhaust, steering stem nut, hard anodised parts, bar ends and grey/red paint scheme. There are also a number of accessories included such as heel plate trim (£10), wheel trim graphics, paddock stand bobbins (£20), tank pad (£20), matt black levers (£70) and pillion seat cowl. The 2017 Carbon edition is £10,000 which gets you ABS, colour coded calipers and wheel tape. There's also a carbon rear hugger, crankcase cover, clutch cover and alternator cover. 2017 also introduced the £9,900 Phantom special edition with matt black paint, red detailing, black KYB fork and black exhaust/levers/foot pegs/foot rests. Additional 2017 changes include a power bump up to 150bhp, new slipper clutch and blacked out levers/pegs - check the pics. Other accessories include blue/red/yellow Brembo calipers (£210), carbon fibre frame cover (£330), carbon fender (£250), carbon pillion seat cover (£150), carbon mini fly screen (£200), carbon rear hugger (£150), blue chain (£170) and heated grips (£160). The GSX-S1000F is essentially the same bike but with more of a fairing for sports touring use, a 5mm lower seat and ABS as standard.